How to begin about Paul Van Haver alias Stromae? About his great songs or his great taste of fashion? Stromae is a Belgian singer-songwriter producing electro/rap music. 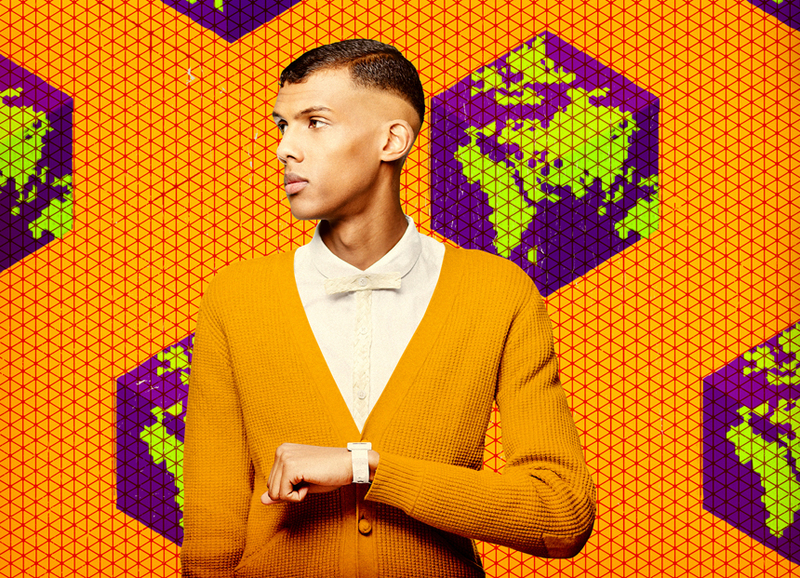 The singles he made aren’t only appreciated in Belgium, even our Mr.West made a collaboration with one of his songs “Alors on danse” Stromae is different than the other rappers, he has a very Paris chique look. He doesn’t have a cliché look with the golden chains and the diamant rings. He is mostly with a bow tie and it works for him. After being absent for a year, he’s back! Last week at 8 AM in Avenue Louise Brussels, he was hanging out like he was drunk on the street. People started to take pictures and film him. Everyone thought he was drunk. And even the newspapers started to share these videos and talk about it. BAM in your face, 2 days later he revealed his new videoclip “Formidable”. Even the cops believed it. They even asked him if they could bring him home. And of course now it’s making the buzz on social media. We Belgians are proud to have a singer like him in our country. This entry was tagged alors on danse, Electro, formidable, papaoutai, rap, stromae, te quiero. Bookmark the permalink. He sings electronic music. When has he ever rapped? It can also be classified as hip hop.